What is an IDE or Integrated development environment? An Integrated development environment or IDE is a software or tool in computer which is used to develop applications, websites, and even software by using multiple programming languages all in one place. As we all know that developers use numerous tools for coding, testing and compiling. Those tools can be in the form of text editors, code libraries, test platforms and much more. Without an IDE a developer had to struggle as he might not be able to select, deploy, integrate and manage all of the tools separately. 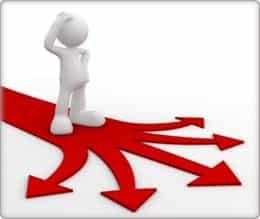 This is where an Integrated development environment or IDE comes to action and take over this worry away. It provides all those tools under a single framework, application or service. The tool is designed in such a way that it helps in reducing coding mistakes, simplifying the development process and of course integration of various APIs. Some IDEs are free and open source and some might charge for fee or subscriptions. 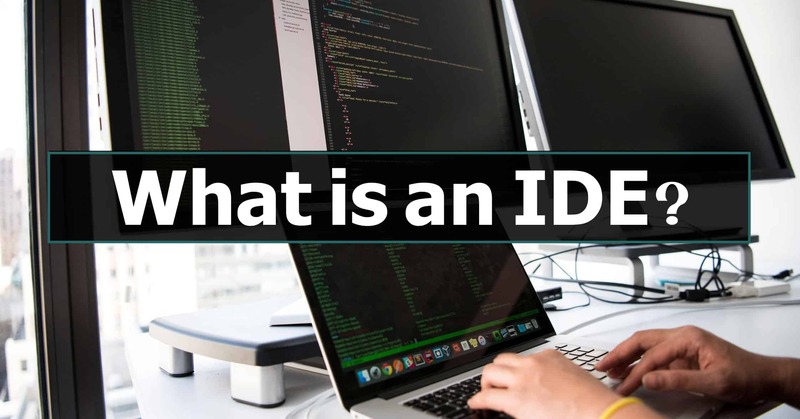 Before diving deep into the exploring of IDE we must have to take a look at what its definition has to offer. 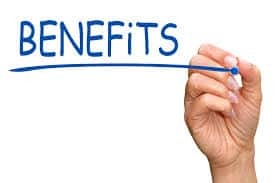 There can be numerous benefits as they offer a great set of features. And the best part is we will be discussing each of them here. All in one – An Integrated development environment or IDE contains a code editor, compiler, interpreter and debugger which can be accessed through a single GUI (Graphical User Interface). This means that a user writes code in the editor, the compiler converts the code into the readable language to be executed by a computer and at last debugger tests the software to fix bugs and errors. Well Designed – The toolbar of this software looks similar to word processor’s toolbar. It facilitates developers by a color-based organization, error diagnostics, Source code formatting, intelligent code completion and much more. Supports MDD – The word MDD stands for model-driven development. In this, a developer working with an IDE starts with a model, which then it translates or convert it into suitable code. Then that code is tested by a debugger with a high level of automation using this tool. Once everything is done the code can be deployed for further process. High Productivity – An IDE can prove to be highly productive for developers as it provides clean/ fast setup with standardization of tools. Without it, developers might waste time in deciding which text editor to use or which tool can be replaced and so on. Other Features – IDE also has features like object and data modeling, programmable editors, a source code library and of course automation tools which is brilliant. Learning Curve – Yes, it might offer you a wide range of features and all the necessary equipment but you have to learn how to operate it. Due to this wide range of features, this tool becomes complicated and hence not for everyone to get hands on. May not be good for Beginners – An advanced or sophisticated IDE may not be a good tool for the beginners. The reason is quite simple, it already had a learning curve in it and if you are not even familiar with the basics of code then it might be frustrating for you. As simple as that. application. You need to do it manually. Yes, some might offer that but it will not be a good practice to do that. So keep this in mind. Similar to different locks have different keys, there are different IDEs for a different type of development. In simple words, a developer must have to match its IDE with the application he wants to produce. For even better understanding if you want to create an application for the iOS platform then you need to install the Xcode otherwise you won’t be able to do it. Now, types of IDE range from web-based to mobile and cloud-based platform. Mobile-based – An IDE with mobile development works well with the code that runs on both Android and iOS. This simply means a developer can create applications targeting both the platforms. The best example is Xamarin. It is a cross-platform tool which is used to develop apps for both the platforms. For example, a developer or programmer can write a code in C language and Xamarin translates it into Swift for iOS and Java for Android as simple as that. Other IDEs – There are tons of other popular IDEs which can be used right away. The best part about them is that they support multiple languages such as Netbeans, Eclipse, and IntelliJ IDEA. Well, there are many things which are available online as well as offline. These days many categories of software can be found in both the scenarios such as in the online world as well as offline. Consider the example of Adobe Photoshop. This software is readily available in the offline market and it is also very popular. But of course, it has some price to pay. But if someone can’t afford it and wants to edit some image urgently then surely he or she can opt. for free online service. This is a great option for any time. Now, talking about offline or online IDEs there are lots of options available. Assuming that you read our article on the best IDEs which we mentioned above, we are providing you with the list of top Online IDEs which you can try right away. Though we mentioned earlier that, you might choose what fits best for you. But if you are confused and not able to decide which one to choose, then here we are putting our recommendations for you. For Windows users – If you are a windows user and wants to develop websites, web applications, windows based apps, or computer games then Microsoft visual studio code is for you. This software is packed with all the features you need and it is also easily available on the internet where you can download it for free. For Mac Users – If you are a Mac user and a fan of Apple devices and want to make an app for them. Then obviously you will need a separate type of IDE or integrated development environment. The name of it is Xcode. You also need to learn Swift for it. You can download it from Apple’s official website. IDE is the great software as they come with a bunch of other tools as well. After some struggle of learning, anyone can enjoy its features and also at the same time can be more productive. So this was all regarding What is IDE?. If you have any suggestions then let us know in the comment section below, would love to hear that. Thanks, I have used IDE most of the time but it still confuses me what to choose what not to? Although this didn’t solve my prob yet it delivered basic knowledge regarding IDE. Do you have any idea why Netbeans8. 1 is too slow on Ubuntu 17.10?